How do I choose a musical instrument? Kids choosing musical instruments should begin with a basic understanding of the various instruments. Young people should attend music concerts, symphonies, orchestral events, and musical theater (in which live musicians are employed). One of the easiest and earliest experiences that a child can have involving music is by attending a local parade. The Marching Bands in parades have given many young children their first look at live musicians. In this festive environment what better way to drum up (excuse the pun) excitement for studying an instrument. Your local high school concert or high school musical is another way for young children to observe live musicians or perhaps you are fortunate and live near a college that also offers theater and concerts. A matinee is a perfect way to open a kid's eyes to the wonders of playing music. Just be sure to check with the college box office prior to going. Some schools have age restrictions. Kids should become aware of the various types of instruments. Learn about the musical families of instruments in an orchestra. These families include: Brass, Woodwinds, Strings, Percussion, and Keyboard. Begin by finding information on the families of instruments. There are several easy ways to do this. One of the best ways is to purchase a book explaining the different families of the orchestra. You can also get this information on line or you can go to any of a number of music schools in your area and have them explain and illustrate what they teach. School music teachers are also a very good source for this type of information. Another great way to gain knowledge is to go to a local music shop that sells instruments and speak with a salesperson about the instruments they sell. Many times these places also give music lessons or have a recommended list of music teachers. Perhaps you can speak with one of the teachers connected with the music store. Don't be afraid to ask for a demonstration or even to actually try the instruments for yourself. Of course, if the instruments are available and open to the public, be sure to ask if it is permissible. People in musical instrument sales are most often knowledgable and more than happy to get you started, provided you ask for help. Music Schools are another great place to experience the feel of a particular instrument and to hear the sound it makes. 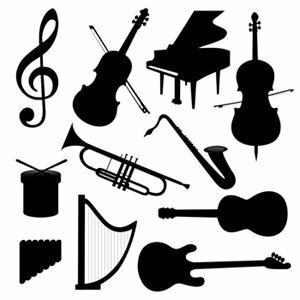 If you find an instrument you think you would like to play, check to see if they offer a trial or introductory class. Many times, kids are permitted to sit in on a class, without playing, just to see what happens during the class. If you are not quite sure if the instrument you're considering is the one you really want to play, this is a good way to get a better idea without actually having to acquire the instrument. The main thing for you to discover is that you feel comfortable with an instrument. You should consider this to be your utmost goal in choosing what instrument to study.